Quentin McCain AKA "Coach Q" went from dedicating his life to the streets to dedicating his life to mindset mastery. He is a bilingual Maximum Performance Trainer and speaker helping people wake up from mediocrity and take the wheel of life. 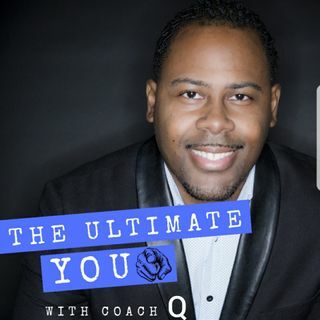 In The Ultimate YOU Podcast Quentin shares his knowledge on how to become "The Ultimate You" through NLP, CBT, and other personal development strategies. Coach Q also leverages the expertise of business leaders, self-help experts, ... See More athletes and others who have a track record of outperforming the masses. This podcast will help you control your emotions, restructure your beliefs, be more productive and plow through fear. Join us and uncover "The Ultimate YOU." The Ultimate YOU EP 1- Stop procrastinating and just do it!